It’s 6:00 in the morning again, time to get up and start the day. Why does 6:00 come so quickly anyway? Every morning? Same time… Ugh… My body aches, my thoughts are cluttered. “I can do this one more day, Jesus give me strength, patience, and kindness” presses past my lips. With a quick sigh, I get up and as my feet hit the floor the whole day flashes before my eyes. 3 girls (and a mom..ahem) whining over nothing to wear, cereal spills, toys and clothes strung through the house, fighting, fussing, dishes, laundry, paperwork, schoolwork x3, computer work x2, working out…and the list goes on and on. I fight the urge to crawl back under the covers and force myself to think of the joys and blessings I have instead… 3 healthy and beautiful daughters to care for and clean up after, nice home to clean, loving husband to cook for, nice clothes to wear, ability to be able to teach my children at home, a God who loves me unconditionally, wow I am getting somewhere now. The dread of the day is buried and the joy is rising. Yep, the struggle is real! I’m sure we all know it too well. If every day was rainbows and gumdrops wouldn’t that be lovely. But we all know that life can stomp all over you sometimes. These bodies and brains can get tired and burnt out occasionally. We have to listen to those cues we get when the haze sets in and you feel your temperature rising to take a step back and breathe. Always make sure you are breathing. Yes, I know you are probably saying “If I wasn’t breathing I would not be living” But what I mean by breathing is deep breaths, long deep breaths can make a world of difference. If you are a homeschool mom, you may sometimes wonder, Are they learning everything they should be? Are they on the level they should be? Let me tell you, this is completely normal:-) You are doing great mom! But, I’m sure every parent, homeschool or not, at some point has thought that. As for us, we have a very eclectic style of homeschool, which is constantly changing, yearly if not monthly. So when I curriculum jump, hop and skip sometimes things get missed or done twice. Don’t get me wrong I am very confident with our learning, but the worry still tries to creep. For one thing, I have a struggling reader. Which is very disheartening at times. 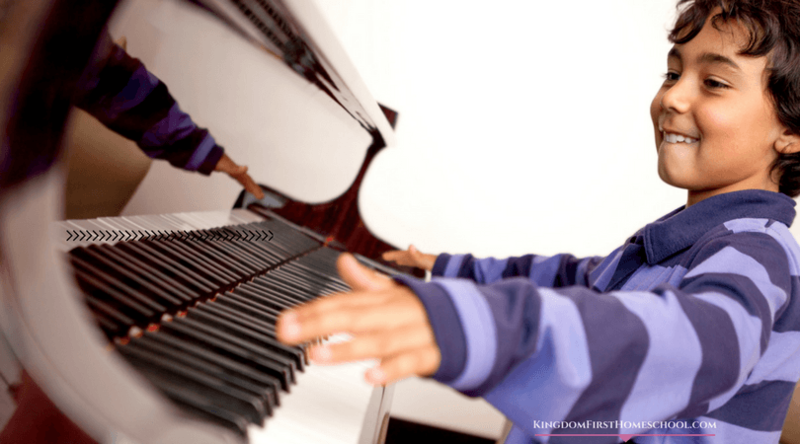 But we all know that every child is gifted, they just go through momentary struggles and eventually after a few shifts and changes – “light bulb” they get it. But what else should you know? hmmm…. Well if you are a homeschool mom you know that deep breaths is not enough! Sometimes you need much more. After all, we are with our children 24 hours every day!!! That alone can be difficult, but then throw in being their teacher on top of that, teaching multi-grade levels and learning styles and personalities, split personalities it seems like, and you have a whole other level of stress that can take place. And we all know that teaching your own children is the toughest. I used to teach a Sunday School class also and let me tell you, teaching other people’s children is a breeze compared to getting your own kids to listen to you. Did I mention the struggle is REAL?! 1) Talk to Jesus– OK this is the biggest and most important. Yes, you are right you cannot do this alone and you don’t have to… God is with you. You can do all things through Christ who strengthens you. (Philippians 4:13) YES ALL, that’s what it says ALL, not some, not most, but ALL. Stay in direct connection with Him always. You will find your days run a lot smoother. Peace will begin to descend over your home. 2) Count your blessings– I find that if I focus on the blessings I can stay in perspective when I feel like I simply can’t do this another day. Dig deep and look for the blessing in every hard situation. 3) Don’t listen to the lies– What are you thinking about momma? Don’t think on those lies! You know the ones “you’re hurting your kids, cause they are missing prom and stuff.” “They’ll never get into college.” “What if you’re not teaching them enough?” Yes, those lies always creep in. Do not believe them for a second. Keep your head held high and know – that you know – that you know that God has given you all you need to teach your children. 4) Ask for help– Homeschooling can get pretty lonely. Reach out to your homeschooling community. Just Google your hometown and homeschooling support group and find some friends. Homeschooling moms are always there for each other. And are always looking to connect. Look on Facebook for groups in your town also. Also, ask friends, family, and neighbors to watch the kiddos so you can have a quick breather if you need one. Don’t try to do it alone, find at least one online connection or personal homeschool friend to chat with. 5) Cut back or Change Curriculum– Never give up because you had a bad day or you feel like this homeschooling thing just isn’t for you. Take a day or even a week off and just have fun with your kids. Maybe during that week reevaluate your curriculum, which is usually the biggest burnout problem anyway. 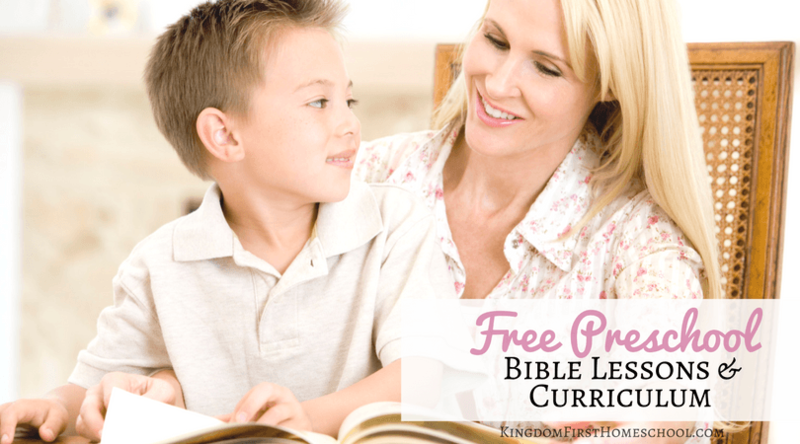 If your curriculum isn’t working find some free homeschool curriculum to try or just simply drop a couple things out of your daily schedule. I’ve had a year where in the middle of the year I dropped everything but reading and math. Yep dropped it all. Not going to stress about it either. Just do what works for you. It’s homeschool, so if you are trying to keep up with what the public schools are doing or go along with their system, more than likely you or your kids are going to struggle. Just take it easy and one day at a time. Read together, have fun together, get back to the “why” – Why did you begin homeschooling to begin with – To raise them in the Word? Because they were struggling? Kid’s were being mean? You wanted your family to be more about family than friends? There are lots of why’s remember yours and get back to the early days. 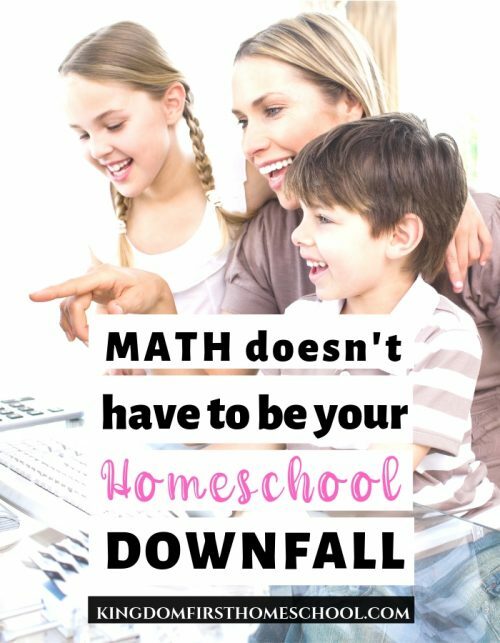 What is your biggest homeschool struggle right now? 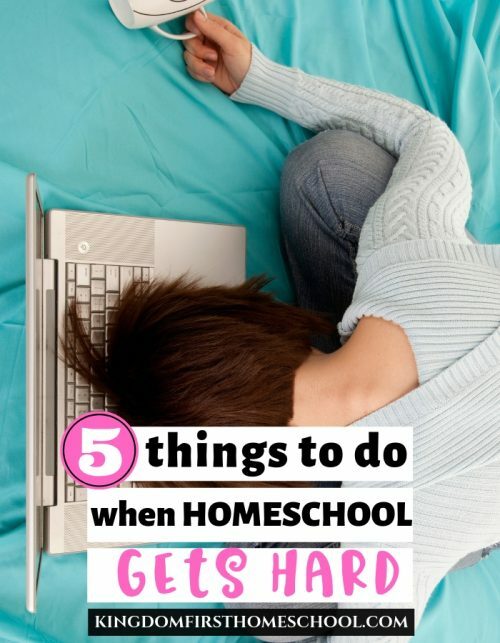 If you have found ways to cope when homeschooling gets hard, let us know in the comments. Please take a second to share this post. Thank you! 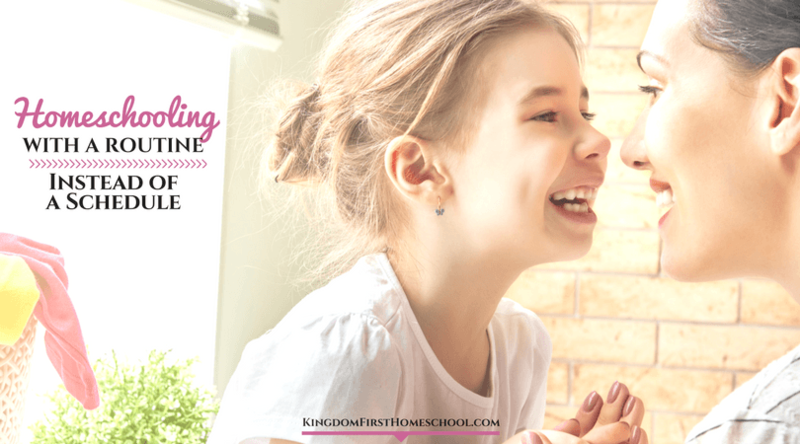 Don’t miss our homeschooling 101 Series! I love that you mentioned your girls were saying they had nothing to wear. Ha!! My boys say that too but not on the same sense. It’s usually because I have forgotten to do laundry or it is all clean and piled up in the laundry room where no one can see it. I desperately need help from Christ every minute. You mention so many reasons why. I realize that this is my “lot”, my suffering, my cross to bare for a savior that took on the sins of the world for me. What a small price to pay when we site back and take in the whole picture. One other thing that helps me when I am overwhelmed with schooling my five children is sometimes just keeping it simple for a day or two. Reading through a good fiction book or watching documeteries together. Sometime I get over loaded when I think I need to change curriculum but really what I am doing is working just fine. I just need a little break in routine for a day or so. I am sure you have posts about this but what is your eclectic style including this year? -LOL! Our laundry pile can get crazy within 2 days!! -Yes! Without Christ we never make it! He is the rock and the reason we continue this journey. -I love those days when I scrap the schoolwork and just enjoy my kids! Those kind of days pull us through every school year! -This year we are actually using a more traditional approach…Abeka! I have never used it before, and may never again, but it is working for us now. I like it for us now because I wanted to see where they are, if they are on point or needed more help in a specific area. So it has really helped me to pinpoint areas they may be struggling in. In the past we have used mainly literature based curriculum (Sonlight & Heart of Dakota – love these both but HOD is my fave of the two) and added a few different websites and activities like for typing – Typing.com and Mobymax for online practice. My oldest daughter does S.O.A.P also. I use the term eclectic mainly because we are always changing it up so we don’t get burnt out. We sway from style to style checking it out and pulling in what works and throwing out what doesn’t. Thanks for stopping in and adding your comment! Hope your day is blessed! Great reminders. Thanks for sharing.